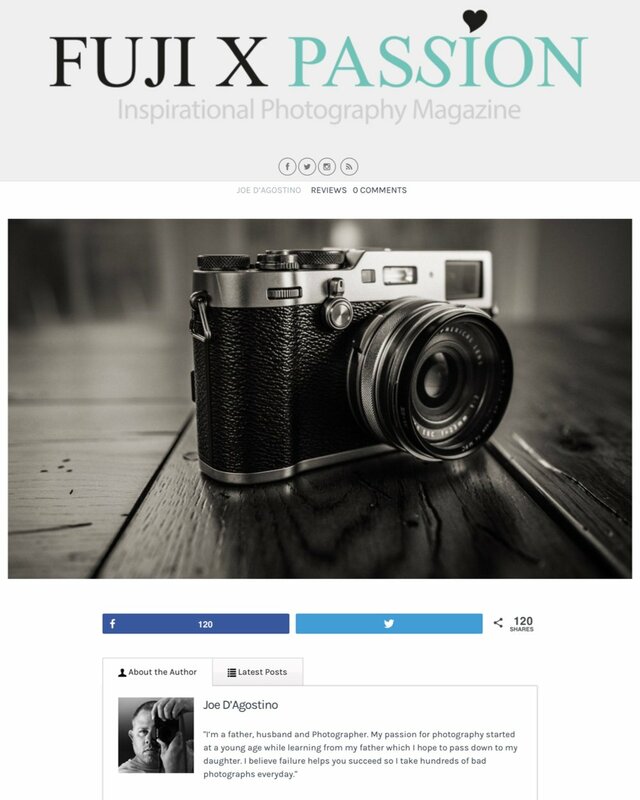 I'm very happy to have my review and work published at Fuji X Passion magazine. Maurício & Hugo reached out to me the other day and asked to post my review of the FujiFilm X100F. Yes was the obvious answer. I'm looking forward to the interview we have scheduled for May as well. The Review can be read here on my blog as well as at Fuji X Passion. Check it out as well as all the other amazing photographers and information on this great website.